Link Global are perfectly placed to handle your Holland contractor accounting. Structure your work arrangements with confidence using our internationally renowned accounting solutions. From early planning advice to emergency payroll for imminent work, and every step in between, Link Global provides expert contractor accounting solutions for Holland and worldwide. Link Global Management are perfectly placed to handle your Holland contractor accounting. Structure your work arrangements with confidence using our internationally renowned accounting solutions. From early planning advice to emergency payroll for imminent work, and every step in between, Link Global Management provides expert contractor accounting solutions for Holland and worldwide. Citizens from the European Union (EU), European Economic Area (EEA – EU plus Iceland, Liechtenstein and Norway) or Switzerland do not need residence permits or work permits. Some foreign nationals – such as highly skilled workers, Blue Card holders, the self-employed – can obtain a residence permit that authorises them to work, without requiring a separate work permit nor being subject to a labour market test. Everybody else who wants to come and work in Holland will need a separate TWV work permit, in addition to a Dutch residence permit. Holland has one of the most internationally focused, highly educated, motivated and multilingual workforces in the world. Demand for highly skilled workers is high. International employees are incentivized through a tax benefit scheme (30% tax ruling) and a fast-track highly skilled migrants programme. There are multiple Dutch permits for obtaining authorisation to legally work and live in Holland, for example, the highly skilled migrant permit, intra-company transfer permit, orientation year permit for foreign graduates or the general work permit. Link Global Management deducts tax and social security at source on a PAYE basis, and payments are made to the relevant authorities. You can reduce this taxable amount by offsetting some business expenses. The Dutch social security system is one of the most comprehensive in Europe. Social security benefits are also paid out based on the value of your assets and savings, such as a car or house, and owning assets over the threshold amount can nullify your right to claim benefits. In general, however, all foreigners who live and work in Holland are required to pay into the Dutch social security system and in return can claim various government benefits, including family benefits, maternity and paternity leave, unemployment benefits, long-term care, sick leave and disability benefits. Healthcare in Holland is not covered under Dutch social security, however, and all residents in Holland are required to enrol with a health insurance provider on their own. Certain bilateral agreements also make it possible to transfer or combine social security benefits, particularly if you’re a European Union citizen or were an official resident in another EU state. 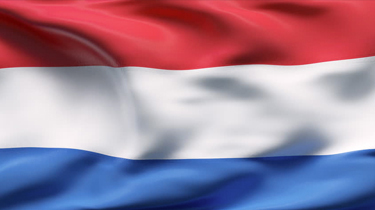 Thinking of contracting in Holland?